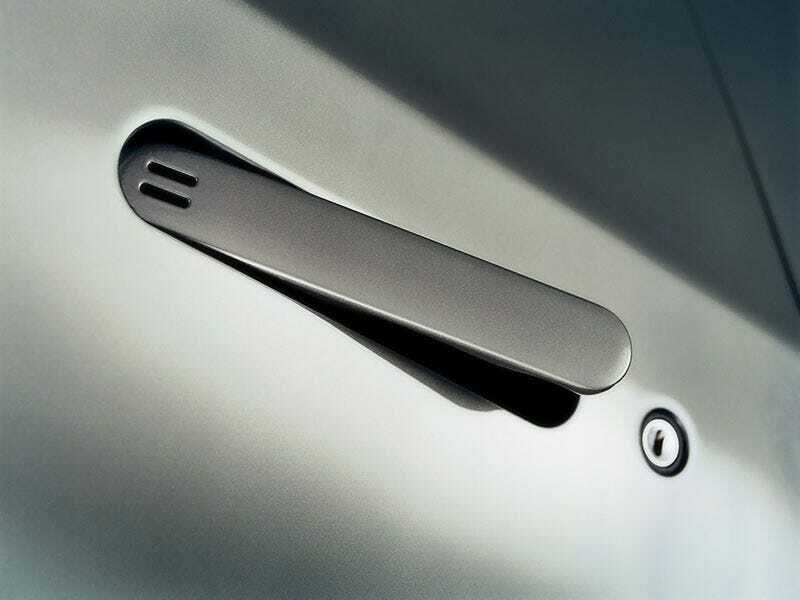 What's The Coolest Car Door Handle? The door handle isn't an afterthought. It's the first part of the car you touch and a well-designed one makes you feel like you're entering a well-designed machine. But what's the coolest door handle? At the very top of our list is the latest door handle used by Aston Martin, most notably on the Aston Martin V8 Vantage. Sitting flush in the gorgeous, hand-built grand tourer is a slice of cool metal with no obvious catch for opening. Press the edge of the handle and it swiftly slides out to present itself to you. The mechanism is similar to what you'll find on luxury jets and is so precisely engineered it excites the rest of your senses in order to prepare you for the sensations lying within. There's a line between automotive enthusiasm and fetishism, and this is one of those times it's safe to give into the latter.